Well…here we are again…only 182 days to go to the start of the 2012 Olympic Games….a Jubilee celebration before that….the Olympic torch comes to Woodstock on July 9th….and yes…the ‘art in the furniture store’ series of exhibitions opens again for 2012…. February features the watercolours of Jacqueline Hopkins. 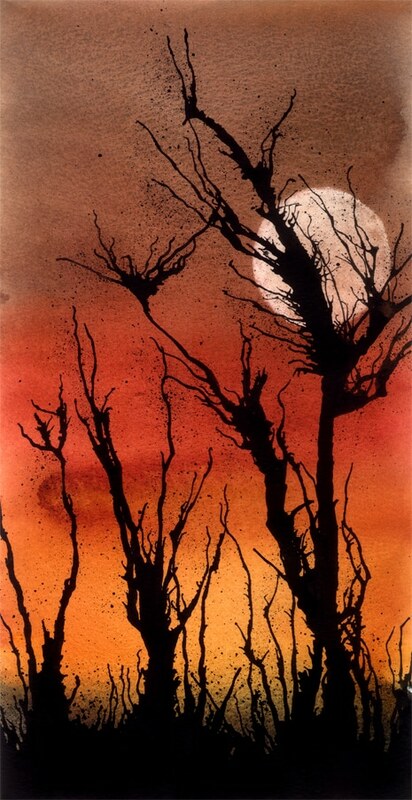 She paints, using unusual techniques, to create soft, atmospheric images, often inspired by the beauty of trees. art, wines, log fire, live music, friendly folk and the chance to meet Jacqueline. For our ‘one off’ furniture piece’ of the month, we unveil a superb 7ft ‘Quaker’ style table, with a one piece elm top…the grain will make your eyes ‘pop’!! If you like elm, you will ‘love’ this table! If we don’t sell it during the exhibition I may well be keeping it for myself!! On other fronts, we can report a good ‘run’ up to Christmas and it was good to see many visitors in the period between Christmas and the New Year. We are about to start a comlpete ’re-write’ of our website, offering really high quality photos,easier naviagation and concise descriptions of all the furniture. Work continues on our ‘on line’ shop featuring our accessories and we hope to launch soon! Watch this space!! In the meantime, we hope you will be able to enjoy Jacqueline’s exhibition. Her work is still very affordable and her reputation is growing! We look forward to seeing you at the preview party or at any time during the month. 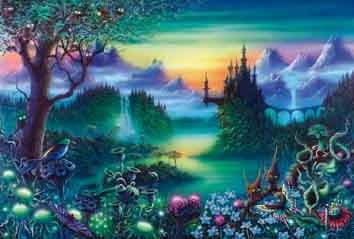 Danny has provided the illustrations for numerous ’sci -fi’ and fantasy books, notably by Arthur C Clarke and Isaac Asimov as well as album covers for the several ‘prog rock’ bands. 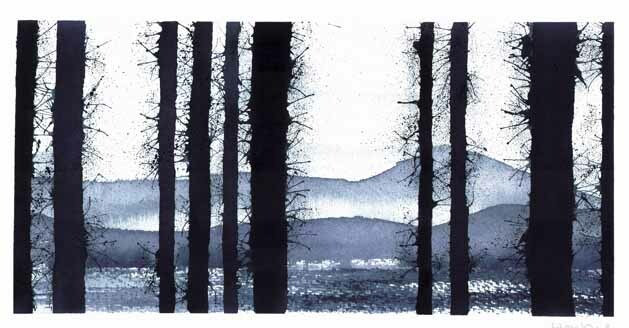 He will be offering the rare opportunity to buy some of his ‘originals’ as well as some ‘giglees’ and prints. 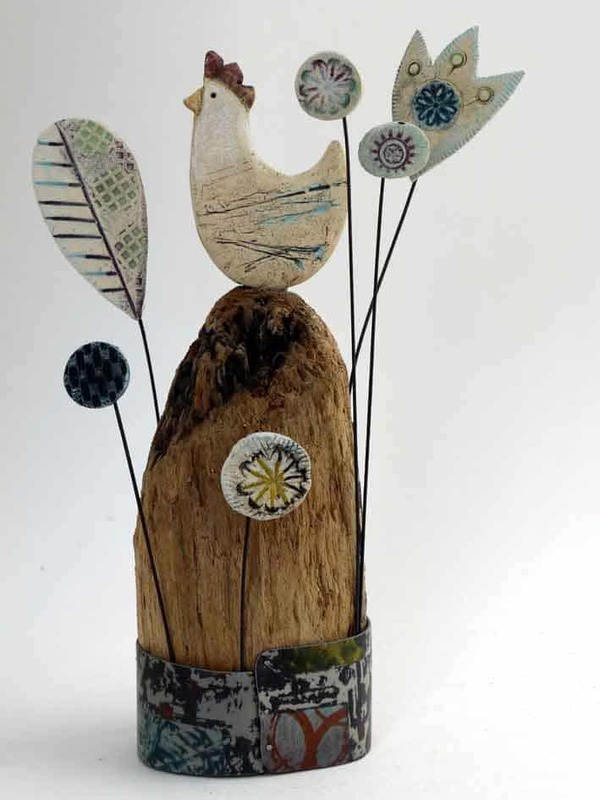 Shirley creates wall hung and freestanding sculptures by fashioning ceramics to combine with driftwood and other ‘found’ objects and materials. Her inspiration is the North East coat near Scarborough, where she lives. She also paints, using unusal objects, her fingers as well as brushes in creating her work. We are pleased to announce our affiliation with ‘Oxford Art Weeks’ in becoming a festival venue for the very first time. 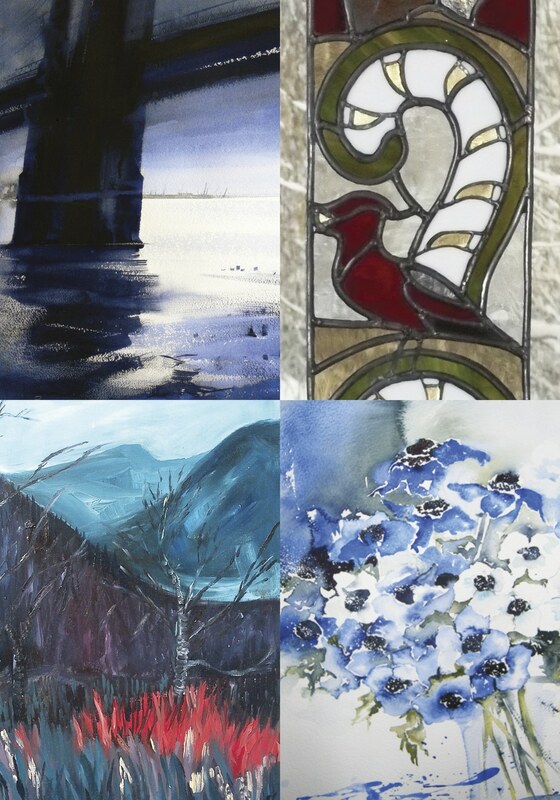 Throughout the month the May, ‘Art in the Furniture Store’ will feature the paintings and stained glass work of four artists who are all ‘Art Weeks’ exhibitors for 2012. We welcome the industrial and urban landscapes of Sarah Moncrieff, the gentle watercolours of Jennifer Brett, stained glass work by Tessa Hall and the return of Rod Craig with new and exciting work.